With our ILC Relay series, we interview Iwate residents in order to show the world how all of Iwate is rooting for the ILC! 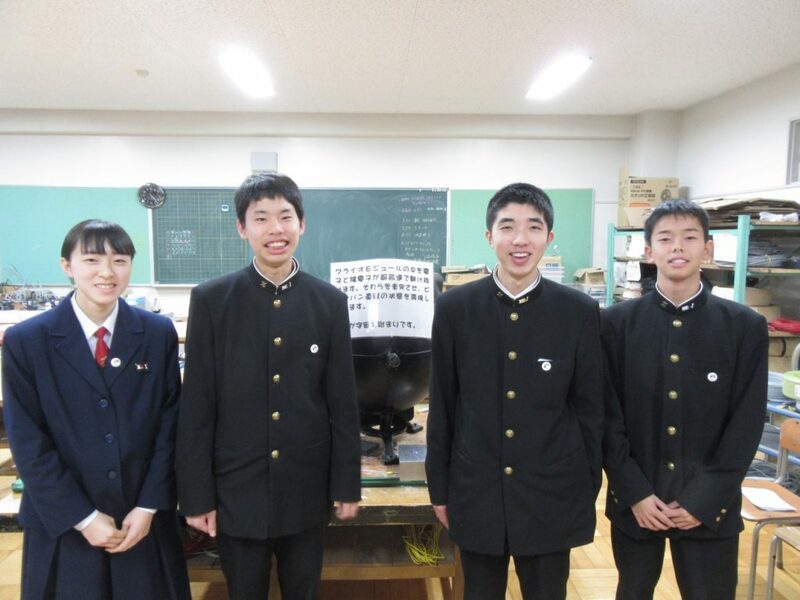 This time, we talked with students from Mizusawa Technical High School*, which is one of Iwate Prefecture’s designated ILC Promotion Model Schools. 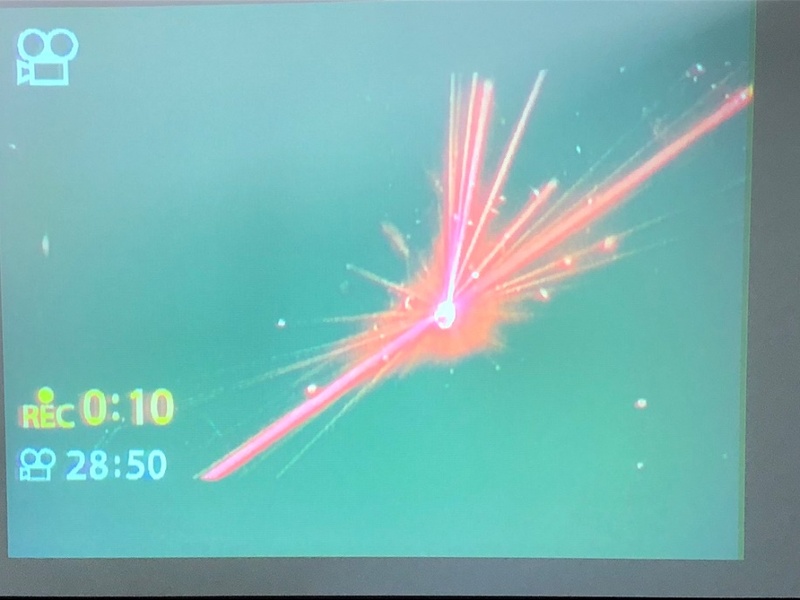 These students built a model that shows a representation what happens during experiments inside the ILC accelerator – making the project easier to understand for their friends and family! This high school was opened in April 1968. Currently, they have four courses of study: mechanics, electronics, equipment systems, and interior design. 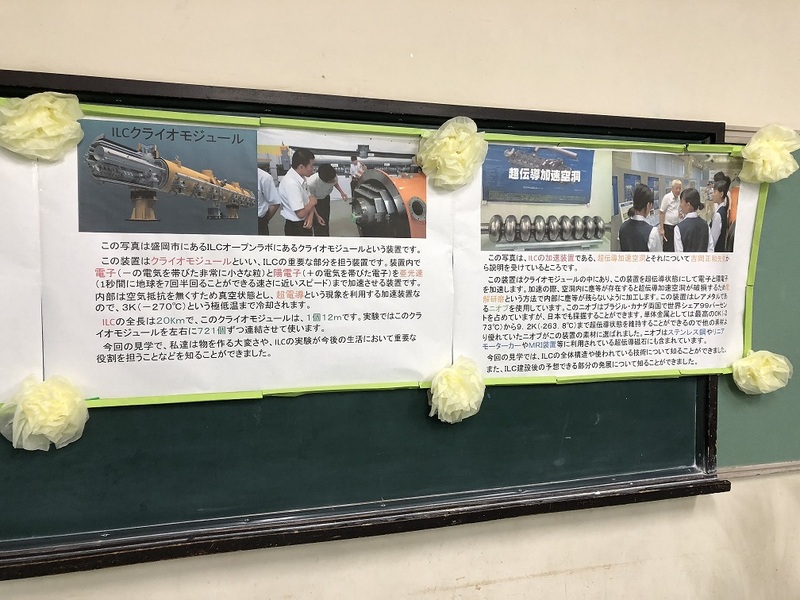 Mizusawa Tech was designated an ILC Promotion Model School in the 2018 fiscal year. Tell us about Mizusawa Technical High School. Mizusawa Tech prepares its students to pass the tests for various specialist qualifications. We start studying every morning from around 8 am in order, so our school has one of the top pass rates for these exams in Iwate. Why did you decide to make this model? We didn’t really know what the ILC was or what it would do before our school became an ILC model school. 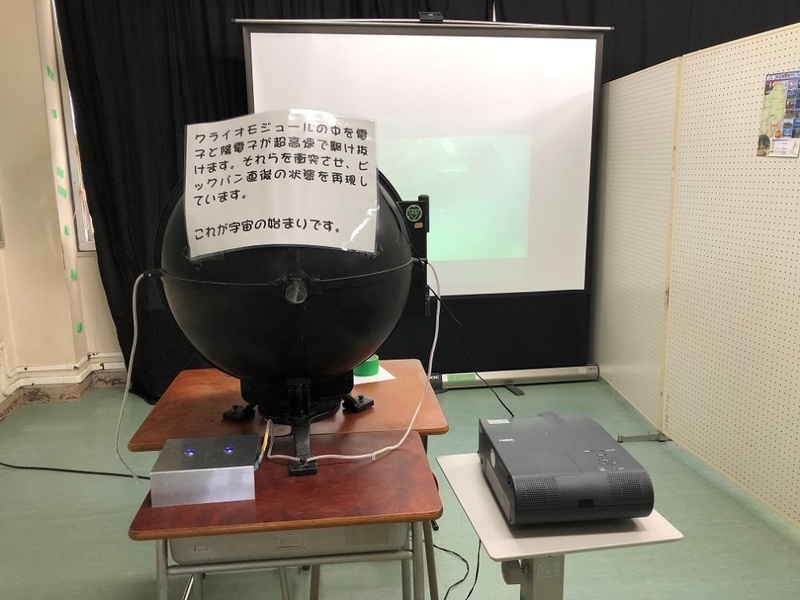 That’s why we wanted make an exhibit at our school’s culture fair (“bunkasai”) – these fairs are open to the general public, so there would be a chance to teach the ILC to a lot of people. So we came up with a goal to set up an exhibit that was very easy to understand. Inside of this metal ball, they inserted a laser and a special gelatin mixture for the light to refract through. 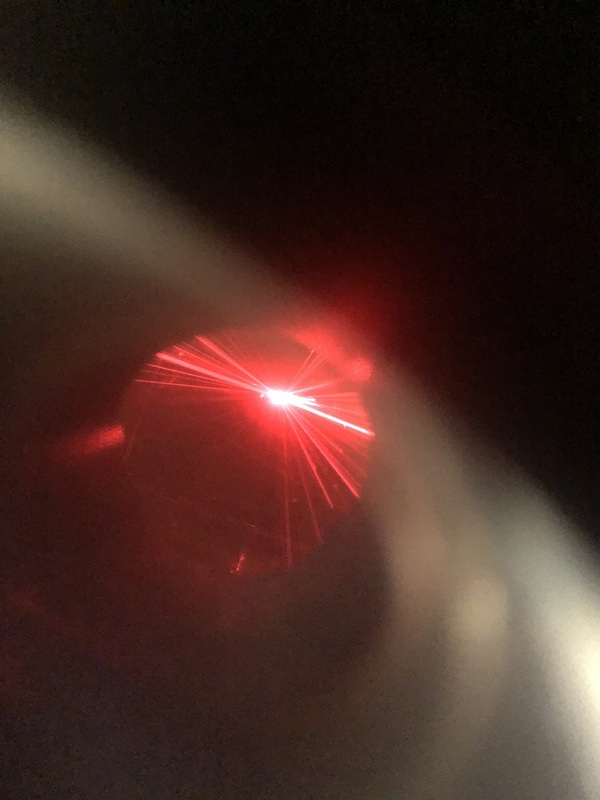 You look inside this metal ball to see a laser bouncing off in many different directions, simulating what a particle collision would “look” like. We’re a team of 13 students from all four courses of study at Mizusawa Tech. What were some things that were challenging about making this model? We struggled with working the sheet metal so you could actually see inside to the laser. We opened up tiny window so you could look at it directly, and also installed a camera on the inside that fed to an outside projector. We tried to do things like that to make it easy for people to understand. It took us about 3 weeks to make it. What was your main focus in this project? We really focused on making it easy to understand. We even put up panels and showed a DVD to explain the ILC so that people would understand what it does. We had two of our team of 13 stay by the model to talk about it, while other members created the ILC posters and spread information about the ILC. They would talk about the ILC with people who visited, and shared the effects it would have on the region if it were realized. What are some nice spots to visit in Oshu City? 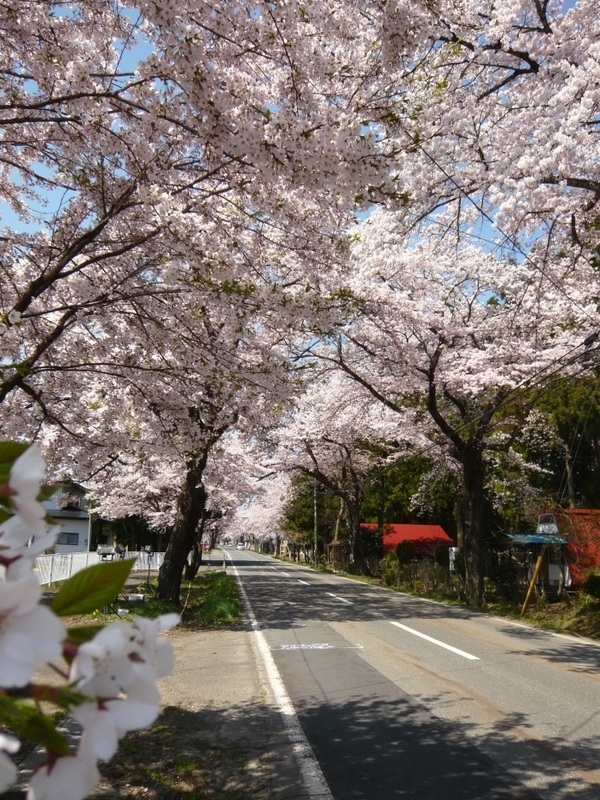 Oshu has lots of beautiful nature throughout the four seasons, like cherry blossoms in spring, autumn leaves, and winter wonderlands. There’s a 7km road in the city lined with cherry blossom trees that we call the “Cherry Blossom Corridor (Sakura Kairo).” It’s lit up at night so it’s really pretty. There are lots of other things too! Wind chimes and other Nanbu cast-ironware goods, Iwayado tansu drawers, Oshu sweet potato cakes, and Maesawa beef (like Kobe beef). There’s a McDonalds and Starbucks in Oshu too. You can often find Mizusawa Tech students at McDonalds (lol). Kosei Chiba: I want to work in electronics. I think there will probably be that sort of work at the ILC so I hope to get involved in that way. Shizuru Ito: I want to be construction, with designing buildings. I’d like to make houses that are nice for foreign people to live in, because at lot of people from around the world will come to Iwate if the ILC is realized. Shoji Oikawa: I want to get a job working on cars. Yuito Sato: Ever since I was a kid, I thought my uncle’s car was really cool, and I grew to love nature and cars. I want to make cars that are fun for people to ride in. What do you hope for the ILC? 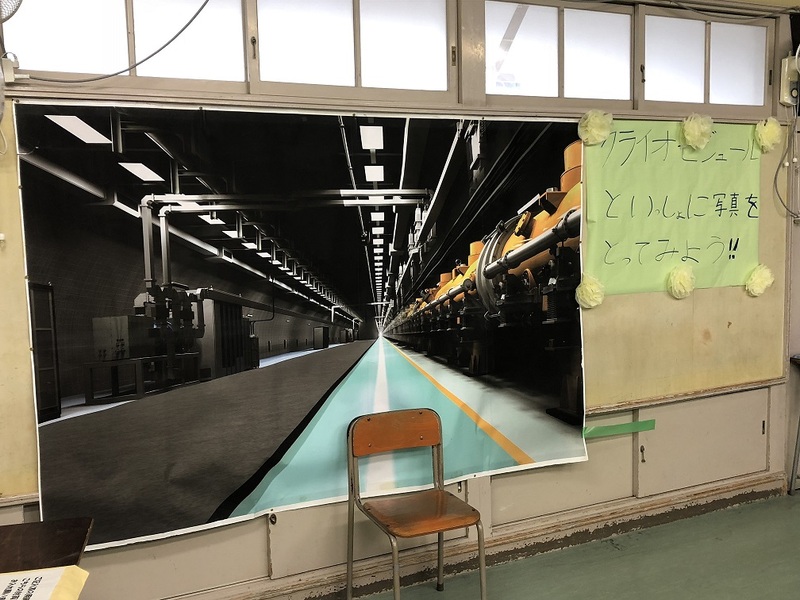 We heard that to the ILC might be able speed up the reconstruction from the 2011 earthquake and tsunami with its boost to the local economy, so we definitely want it to come to Iwate. We also think that there will be more visitors and buildings in Oshu so we hope lots of foreigners come. Do you have any messages to give to foreign researchers abroad? The ILC will be a place with new discoveries – where dreams are born. 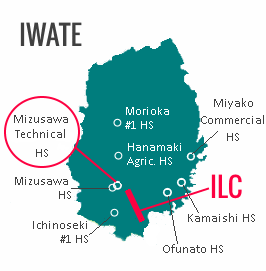 We know work on the ILC is pretty difficult, but we think it will change Iwate, so please do your best! We’ll also work our hardest so we can contribute to the ILC.